Solgar® Milk Thistle contains the natural herb Milk Thistle (Silybum Marianum). 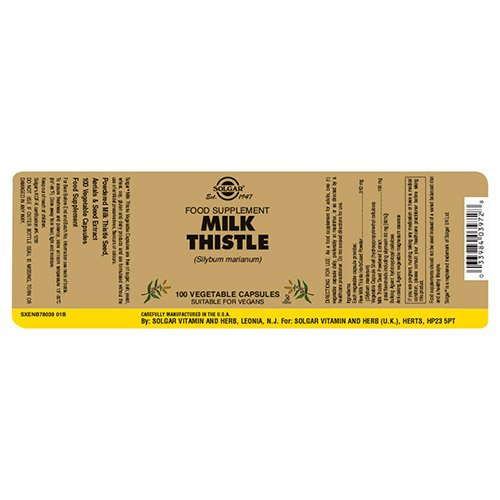 Milk Thistle is native to the Mediterranean and is a member of the same family as sunflowers and daisies. It gets its name from the milky-white liquid that runs off the leaves when they are crushed. Milk Thistle contains a group of flavonoids collectively called silymarin. It has been used in traditional medicine for thousands of years to detoxify the body and liver as it has strong antioxidant properties, countering the effect of over-indulgence of food and drink. 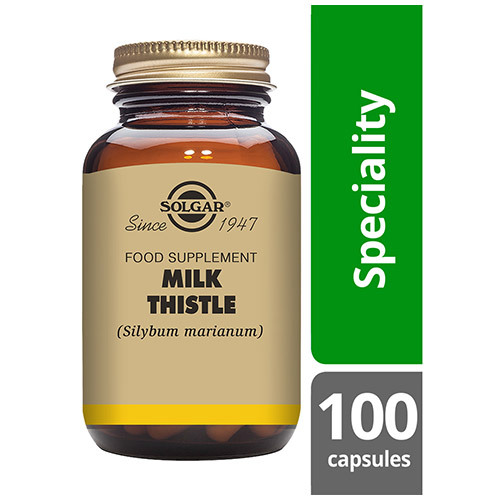 Solgar® Milk Thistle comes in a 1 vegetable capsule daily dosage, proving you with this antioxidant herb. 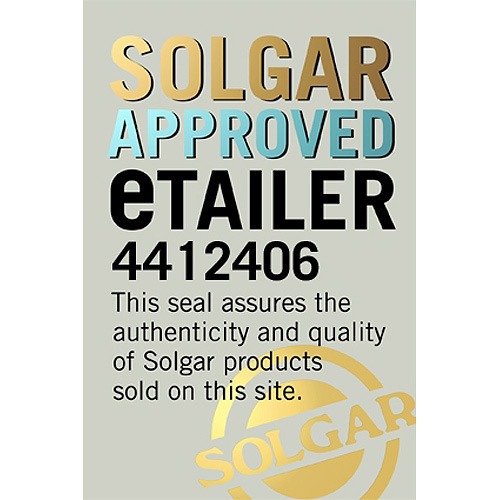 Also contains: Vegetable Capsule shell (hydroxypropylmethyl cellulose), Bulking Agents: hydroxpropyl cellulose, Anti-caking Agent: vegetable magnesium stearate. 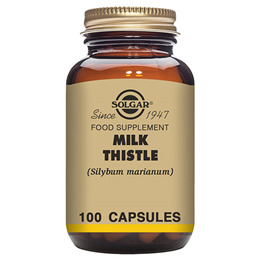 Below are reviews of Solgar Milk Thistle - Silybum Marianum - 100 Vegicaps by bodykind customers. If you have tried this product we'd love to hear what you think so please leave a review.